Facing so much need and so much suffering, and seeing so many different groups at work, it can be hard for animal lovers to know how to help. Our group, Plenty of Pit Bulls, emerged because we saw needs and possibilities, and we managed to put together the necessary resources to make a difference for dogs at the right time. In only a few months, our de-centralized, ad hoc, all-volunteer group of dog lovers has helped move almost 30 dogs from our county shelter’s euthanasia list to five different no-kill rescue groups. About half are already in permanent homes. In the process, we have created a dynamic and growing network of activists who are improving the profile of pit bulls and increasing the number of dog rescues in our community. The first step was the Pull-a-Pittie Fund, which began in September 2010 to sponsor dogs placed on the euthanasia list at our county shelter. Rescue groups must pay a “pull fee” (usually $45) to remove animals from the county shelter. The fund helps rescues stretch their limited funds. It also allowed volunteers to advocate for specific dogs with great temperaments who ran out of time. In the first year, with funds from individual volunteers, the Pull-a-Pittie Fund helped Phoenix Animal Rescue take 18 dogs from the euthanasia list. 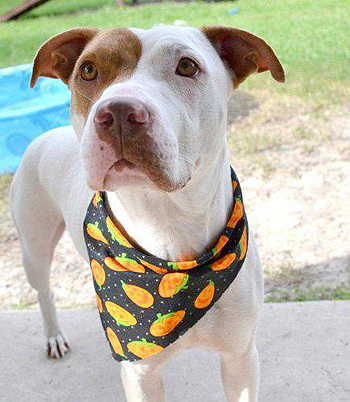 The next step came in September 2011, when a group of volunteers came together to help a young pit bull that had been found as a starving, sick and heartworm-infested stray on the outskirts of Gainesville. Our county shelter almost always operates at full capacity, and a sick, unneutered pit bull was not likely to last past the three-day stray hold. 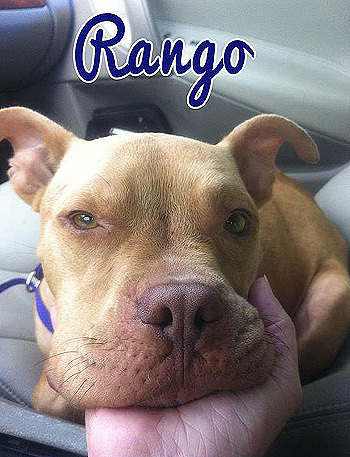 An informal network of volunteers managed to put the necessary pieces together to move the dog, now named Rango, out of the shelter and into a foster home, sponsored by a local no-kill rescue group. We recently raised the funds to cover his heartworm treatment now that he is neutered and up to a healthy weight. In addition to funds, moving dogs from the euthanasia list into rescue requires a foster home and an established rescue organization willing to take the dog into their program. We have built a network of foster homes available to any rescue group that is willing to take a particular dog from the euthanasia list. To add new foster homes, we have reached out to untapped groups, including college students. We created a generic foster application that is accepted by a number of local groups. While most fostering programs are linked to a specific organization, we work with a variety of rescue groups to match animals in need with the first available and appropriate temporary home. One of the most important things we do is give volunteers a chance to advocate effectively for the dogs they know and love. Rescue groups must take into account many factors when deciding which animals to pull. They cannot take them all, and rescue staff must make hard choices about which to take in. The Pull-a-Pittie Fund and the foster network enable us to offer sponsorship for individual dogs that are out of time at the shelter and that have been identified by shelter staff and volunteers for their great temperaments and potential as family companions. Rescue does not end with the pull, and we cannot expand the pool of foster homes endlessly – we have to move dogs quickly from foster to permanent homes. Research shows that individual advocacy can expand the pool of people who adopt rescue animals, and our experience confirms this. A number of our dogs have been adopted by families who would not have visited the shelter or adoption event to seek out their next dog but met their perfect matches through friends, neighbors, coworkers and relatives. Many of these adopters might not have considered a pit bull, but seeing the dogs doing well in foster homes gives them the confidence to bring them into their families. We focus on pit bulls for several reasons. 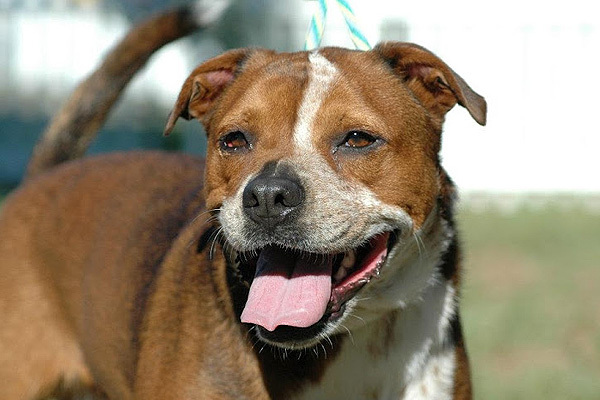 First, there are a lot of them – this broad category includes about an estimated 40 percent of the dogs in our county. They also suffer from particular disadvantages: Breed prejudice makes them less adoptable, and they are subject to high rates of abuse, neglect and abandonment. We also just love these dogs for their playful, affectionate natures, generous spirits and incredible resilience. 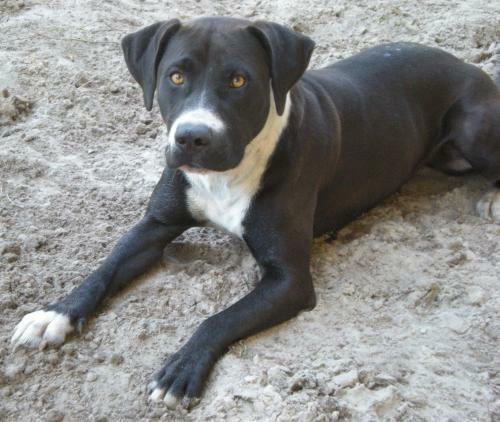 We just sponsored Zulu, found starving in a locked crate and alone on the property of a person who had gone to prison. Like Rango, Zulu held no grudges. She is now showering her foster family with whole body wags and huge smiles. Our advocacy for pit bull type dogs in general comes from our love and appreciation for the individual dogs that have captured our hearts. Plenty of Pit Bulls is very new. We have learned from the work of older advocacy organizations and hope to keep learning. To learn more, visit our website and join us on Facebook.